Kenneth A. Malatesta was born and raised on Chicago’s Near West Side. After graduating from St. Ignatius High School he was drafted and served in the United State’s Army until his Honorable discharge in 1968. After returning from military service Mr. Malatesta attended St. Procopius (Illinois Benedictine University) and DePaul College of Law on the GI Bill earning his Juris Doctor in 1973. Mr. Malatesta began his career in the Cook County States Attorney’s Office where he distinguished himself as an outstanding trial lawyer. During his time as an assistant states attorney, Mr. Malatesta tried and oversaw thousands of felony criminal and civil trials in both the state and federal court. Many of these trials included high profile cases such as the prosecution of the murderers of Simeon High School basketball star Ben Wilson. Mr. Malatesta served in the States Attorney Office until 1991 finishing his career as Chief Deputy States Attorney. After leaving the Cook County States Attorney’s Office Mr. Malatesta joined one of Illinois and New York’s largest law firms, representing corporations and individuals in various civil and criminal cases. He continued to handle these cases when he began his own law firm. After his years as a practicing trial attorney he was appointed as a Judge to the Illinois Circuit Court.. He served as judge in Cook County presiding over hundreds of hearings and trials. 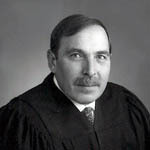 Following his service as judge he was appointed by Mayor Richard M. Daley to serve as a manager for the newly created Chicago Department of Administrative Hearings where oversaw the supervision and training of Administrative Hearing Judges and the thousands of cases they preside over each year. Mr. Malatesta retired from city service in late 2010 and joined Malatesta Law Offices. In addition to his practice Mr. Malatesta has been an adjunct law professor at The John Marshall Law School for the past twenty-five years, teaching trial advocacy. Throughout his years of practice Mr. Malatesta has displayed his commitment to the legal profession and trial excellence. Mr. Malatesta is an experienced trial attorney committed to obtaining outstanding results for his clients. Adjunct Professor of Law John Marshall Law School, trial advocacy.